Last week we ran a special event to discuss how to refer people in need to reliable repair businesses. 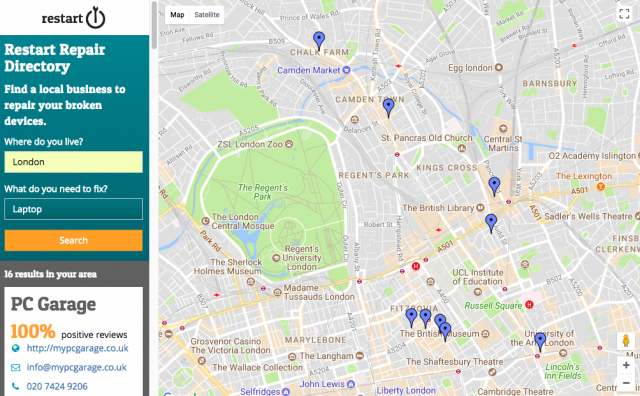 This event is part of a collaborative project between The Restart Project and Hackney Fixers to map reliable repair businesses in the London Boroughs of Camden, Hackney and Waltham Forest, funded by the North London Waste Authority. The project aims to identify reliable commercial repairers in three boroughs selected because they have active community repair projects, and builds on our work in East London published earlier this year. The Restart Project’s research with Nottingham Trent University in 2016 shows that as yet only 33% of attendees at our repair events could name a reliable commercial repairer, indicating a lack of knowledge and a trust barrier. Community repair meets only a fraction of North London’s repair needs. The general public’s limited trust in repair businesses and the time currently required to find an appropriate repair option reduce the uptake of repair. Data from five years of running repair events shows that while we can repair over half of the items brought to repair events, over one quarter of items are assessed as “repairable” requiring more work, which could be done by commercial repairers. The aim of the project is to discover as many relevant businesses as possible, collect data on them, and then develop and apply criteria to identify a subset of reliable businesses. Desktop research, supplemented by local knowledge and visits to all the main shopping streets and shopping centres is used to collect the data. So far the research has been completed for Hackney, is in progress for Camden and is planned for Waltham Forest, with the project due for completion in January 2018. 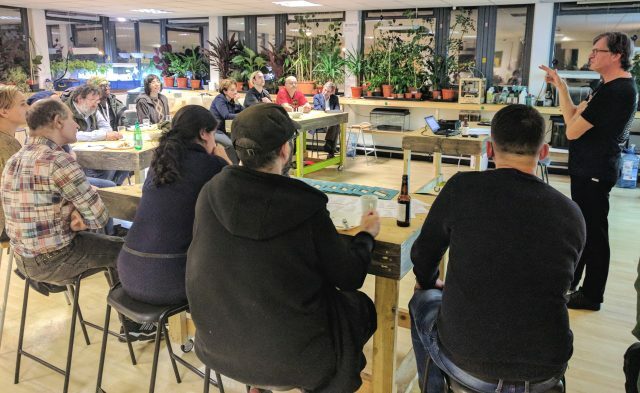 The lists will be launched at Restart Parties in Hackney and Camden in November and December, and in Waltham Forest next year. Through this work good repair businesses could have the opportunity to promote themselves and break down the trust barrier by coming along to Restart events and also receive referrals of unrepaired items from community events. The business is offering a repair service for electrical and electronic equipment. The business provides a warranty on repairs. The discussion at the meeting focussed on whether these are the right criteria and which types of businesses would be included or excluded by applying them. Other points raised included the risk of The Restart Project being seen to recommend businesses and the sustainability of this kind of list given the rapid evolution of the repair economy, with some parts, such as TV and Audio repair, declining and other parts, particularly electronic devices like phones and laptops, continuing to grow. Ugo, from The Restart Project team, also presented a mapping component of their software suite for community use (currently in development), designed to address some of these points by allowing the Restart community to add local businesses to a directory/map and maintain it. I hosted a workshop recently at Fixfest jointly with Club de Reparadores, a repair group from Buenos Aires, Argentina, interested in this approach. BFix, a repair business from Leyton in Waltham Forest attended the event and presented their work on refurbishing cracked mobile screens within London and provided some insights from the repairer’s perspective. As a movement we certainly need to work with and support the repair economy and this project could be the start of doing that at a local level. After months of campaigning for the Right to repair, we welcome the historic precedent set out by new ecodesign regulations, despite some disappointments the repair movement will have to focus on in future.